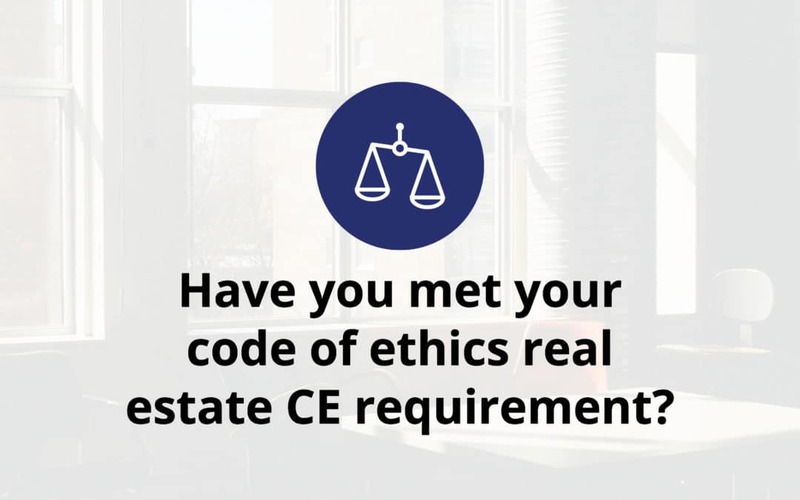 Have you met your code of ethics real estate CE requirement? The National Association of REALTORS® mandates that all REALTORS® must complete ethics training once within a two-year cycle. The deadline for the current cycle is December 31, 2018. Have you completed your ethics training yet? Our NAR Code of Ethics class is delivered entirely online and can be completed from the comfort of your own home. In addition to meeting the mandatory National Association of REALTORS® Ethics Renewal Training requirement, this class also gives you 4 hours of elective continuing education with the North Carolina Real Estate Commission.